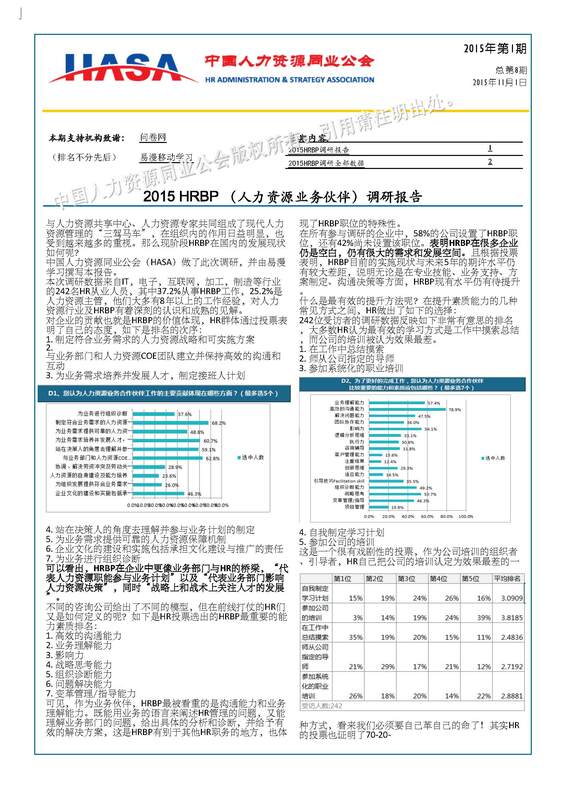 HASA cares for the growth of Chinese HR professionals. We believe frequent coach and mentorship is one of the most effective ways to help professionals develop their career competencies. Based on extensive network of senior HR practitioners and vendors of high credibility, HASA also fully utilizes its unique advantages of government relationships and connections in legal sector. We would love to build an on-line community for all of our members to have timely coaching of HR expertise. For that purpose, HASA offers a platform for on-line interaction. By clicking to icon below, our members can approach experienced senior HR practitioners and first-tier scholars of top institutions from both China and countries abroad. Any of your questions will be shared, reviewed and answered by professional specialized in that sector.